When starting a new software development effort, the ownership of the intellectual property rights to custom software needs to be discussed in advance. As every invention or discovery, the design and the source code of a product are entitled to protection by law. Only the holder of the legal entitlements may exercise exclusive rights, if the source code is created by an independent contractor the issue can be tricky. Because custom software can be highly valuable and expensive, it’s important to understand IP ownership issues. What happens with the source code once created? 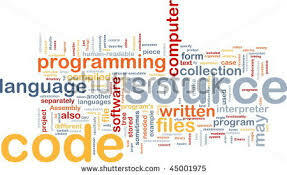 Once a product is created, the software and its accompanying source code become either free or proprietary software. The free software does not need to be free of charge, but it means that it is free to use, distribute, modify and study. On the other hand, the proprietary one is privately owned and is not distributed freely, unless being licensed for it. It is important to understand the difference between open source and free software. When you get free software, you can freely use it, but you can never own it and make it proprietary even after modifications. In contrast, you can modify the open source software for the purpose of your project and start licensing third parties for it. Without a clear contract between an independent software developer and a client that defines and clarifies intellectual property rights, copyright assignment or license terms, IP rights to custom software will be murky at best. And it doesn’t matter if the client paid a large amount of money for the creation of the custom software. Without a clear, written contract, the client may end up with nothing but a limited, implied license to use the software. The default law under the Copyright Act is that the author of the work — the independent software developer— owns the copyright to the software. Moreover, a transfer of the ownership to the software’s copyright is only valid if it is in writing and signed by the author or owner of the work. To further complicate matters, if the client contributed design ideas or process information that qualifies as a trade secret and this IP was integrated into the custom software, the client may be a joint owner of some IP rights.. The Client’s Perspective. A business client that is paying for complex, custom software may want to own all of the copyright rights to the custom software. For example, it may want to be able to make derivative works — modifications of the original program — or the ability to sublicense the software or sell it to others. A business client without a written contract or an understanding of copyright law, however, may mistakenly assume that it owns the copyright if it paid for the creation of the custom software. The Software Developer’s Perspective. In contrast, an independent software designer who has spent several years creating the core code that is customizes for clients, will probably want to retain some or all of the IP rights. He may want to reuse the core code for future clients and only give the client a non-exclusive license to the custom software. Importantly, the software developer who wants to retain some IP rights may have signed an independent contractor agreement early in its relationship with a client and may need to renegotiate the terms regarding IP rights. It is possible to negotiate a carve out of some IP rights, even with a big client, but the independent contractor may need a lawyer’s help. The only way to hammer out IP rights is with a written contract. Oral agreements are not valid to fully transfer copyright ownership. Contracts need to address trade secret issues and be specific about who owns what and the limits to the corresponding rights. Both parties need to understand what they can and can’t do with the software. Which documents regulate the protection of Intellectual Property Rights within a contract? Apart from the fact that all Intellectual Property Rights are protected by the local law, there are also two other documents that regulate the business relationship between the contractors – Non-disclosure agreement (NDA) and End-user license agreement (EULA). NDA is a legal document, which outlines the confidential information, knowledge, and process that the parties of the agreement wish to share with one another, but restrict access by third parties. This document can protect both sides of the agreement. If one of the contractors decides to distribute the created software under a license, once the project is finalized EULA is signed. It provides the purchaser with the right to use, modify, re-sale and backup the software. Some companies include support contracts for the product or warranty for a certain period. First, if the custom software was developed by more than one developer, all developers may be joint authors and owners. One key is whether the developers have independent contractor agreements or IP assignment agreements that assigned any IP rights to code they created to a larger umbrella company that then owns the rights and has the ability to transfer or license those rights. Without written contracts with all developers, there is an IP ownership mess. A second issue is whether the software development company even owns the rights to the custom software. A software developer who owns a development company may not have even assigned his rights to his own company. Indeed, the code may have even been created before the incorporation of the development company. Moreover, the software may be sold through a different business entity without an employment relationship or written contract with the software developer. Third, incorporation of open source code into the custom software may complicate IP ownership even further. Some open source code requires a restrictive pass through license that creates a legal mess. Some clients are aware of this issue and scan custom code to ensure that all open source code is identified and that any underlying licenses are appropriate for the transaction.